When sightseeing, most of us have schedules full of spots we want to visit, so starting early is important. So eating a hearty (and preferably also healthy) breakfast is a must. 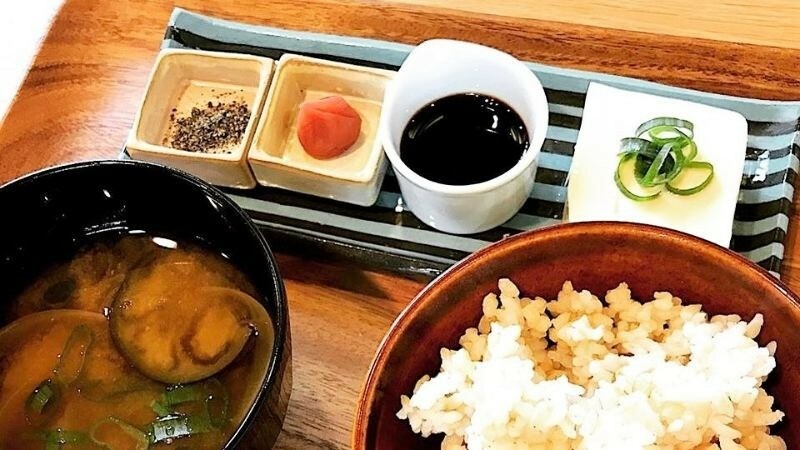 Many people start their morning at a convenience store or a get some pastries and coffee from a bakery, but since you came all the way to Kyoto, you probably would like to try the traditional way of eating Japanese breakfast at least once. 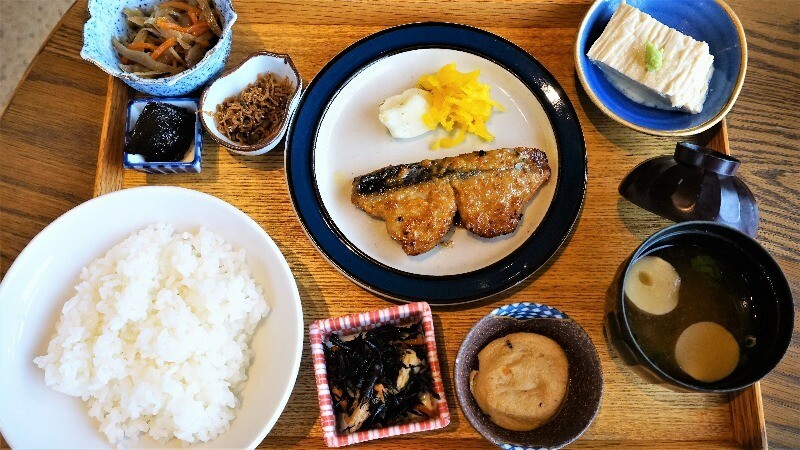 The traditional Japanese breakfast is a healthy and well-balanced start to the day: you usually get many different small dishes, rice, miso soup, and grilled fish. Of course, if you’d prefer to start your day with more caffeine, we have an article for you too. 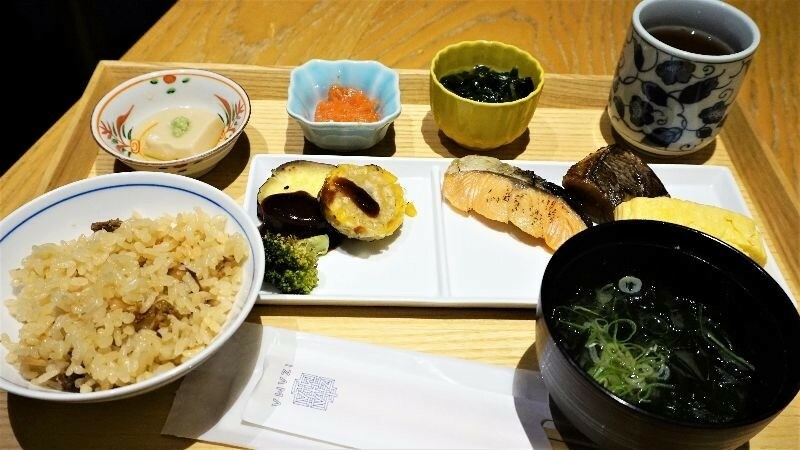 Kyoto is famous for its beauty, and by having a healthy Japanese breakfast, you’re sure to have the stamina to do a full day of sightseeing here! Izama is the restaurant of the hotel Mitsui Garden Shinmachi Bettei, and it’s a spacious and chic restaurant, and there’s even a Japanese garden in the middle, so the atmosphere is almost perfect! 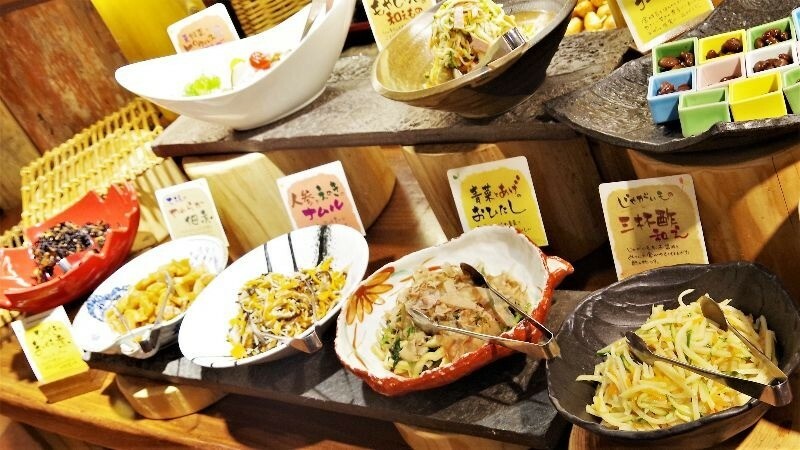 The food here is served in a buffet style, so you get to pick what you like: they have a lot of dishes to choose from, like grilled fish and all kinds of other Japanese dishes. Chich café & tea at Iyemon Salon Kyoto * This restaurant closed in December 2018. 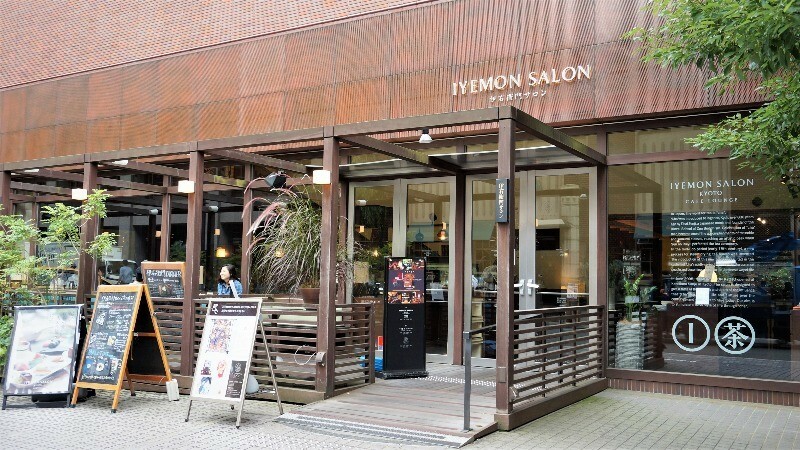 Right next to the subway station Karasuma Oike, you can find Iyemon Salon, a modern looking cafe by a tea maker with a long history behind it. 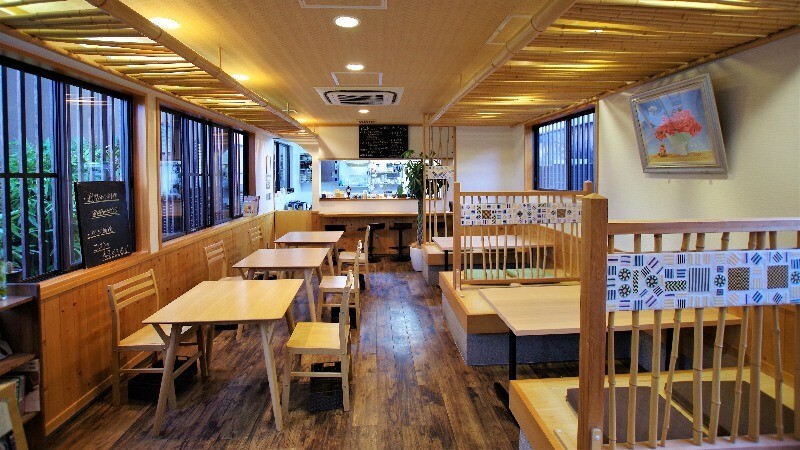 At the café, they offer all kind of Japanese teas but also serve food. Their Japanese breakfast with grilled fish looks so pretty there is nothing else to add to it. It contains Kyoto’s famous tsukemono pickles and even tofu with a miso-matcha sauce poured over it. 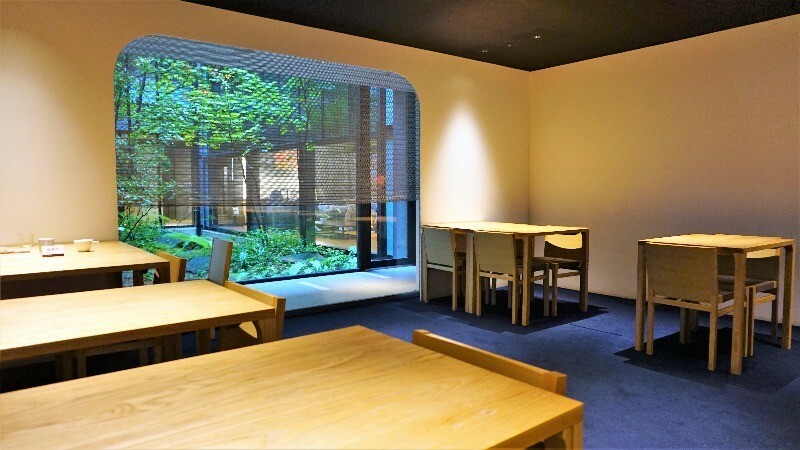 Close to Heian Shrine, there is a modern and spacious café-restaurant called Kyoto Modern Terrace; especially take note of how high the ceiling is! They have two breakfast options: an omelet or this one, Japanese breakfast with grilled fish. 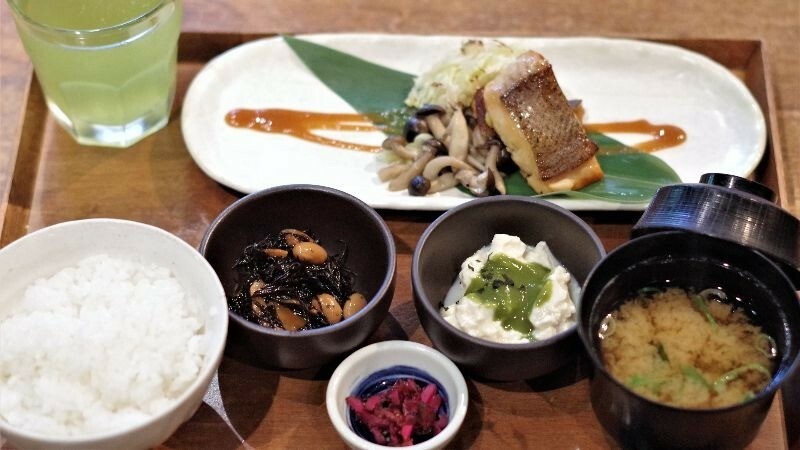 The grilled fish is served with delicious rice, tsukemono from Kyoto, and many small Japanese dishes! PanBoo is a new restaurant in Arashiyama offering food in accordance with the macrobiotic diet, so the food here is very healthy. They use fresh, seasonal vegetables to make the food here, and the breakfast with brown rice and oats is sure to make you feel healthy. They also serve non-vegetarian food. 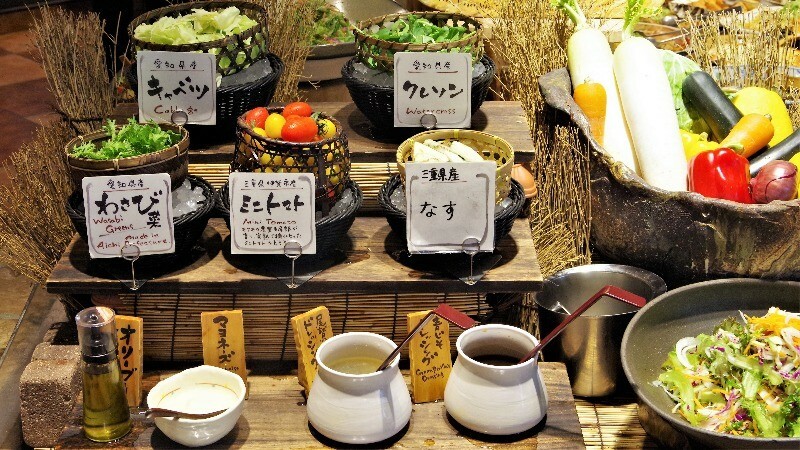 Behind Kawaramachi LOFT, you can find the buffet restaurant Moku Moku, which is run by a farm of the same name, and at this restaurant, they only use vegetables and meat grown at the farm or at farms they have a direct contract with. They also have a good selection of Kyoto-style home cooking, so you get to eat a lot of veggies. So enjoy a fresh and healthy breakfast here, no bloat! You’re sure to have a great day after this! Healthy breakfast is the most important meal of the day! You might have heard, but it’s really true: eating healthy when traveling is important. When in Kyoto, do as the Kyotoites do, and enjoy a Japanese breakfast. After a hot bowl of miso soup and some grilled fish, you are going to have the energy to do a full day of temple hopping! 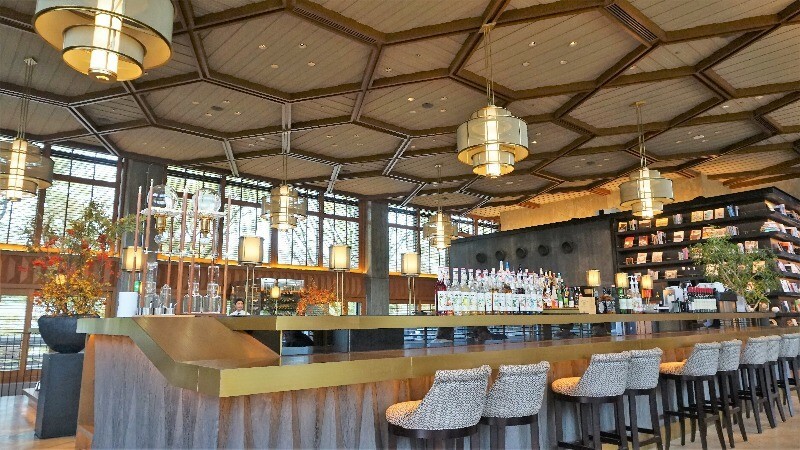 Enjoy nightlife in Kyoto with these five exceptional bars! Chicken skewers Japanese izakaya-style! 5 places in Kyoto offering delicious yakitori! The Best Lunch Restaurants in Kyoto Station, Gion, and Arashiyama!! Take a delicious walk in Gion!